Clerk, Nathalie. "Union Station". The Canadian Encyclopedia, 30 May 2018, Historica Canada. 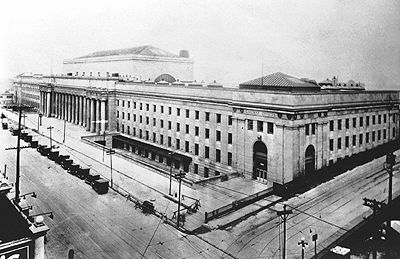 https://www.thecanadianencyclopedia.ca/en/article/union-station. Accessed 18 April 2019. Union Station, Toronto, was designed by architects Ross and Macdonald, Hugh G. Jones and John M. Lyle for the Grand Trunk Railway of Canada and Canadian Pacific Railway. Union Station, Toronto, opened in 1927 (courtesy Baldwin Room, Metropolitan Toronto Reference Library). Union Station the busiest passenger transportation facility in Canada. It serves 200,000 passengers a day. As seen on April 27, 2013 in Toronto. 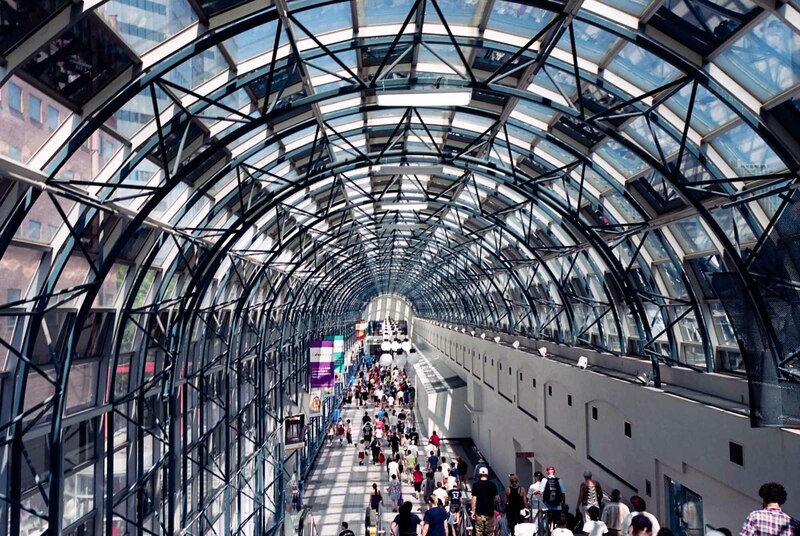 Tunnel from Toronto's Union Station to CN Tower. 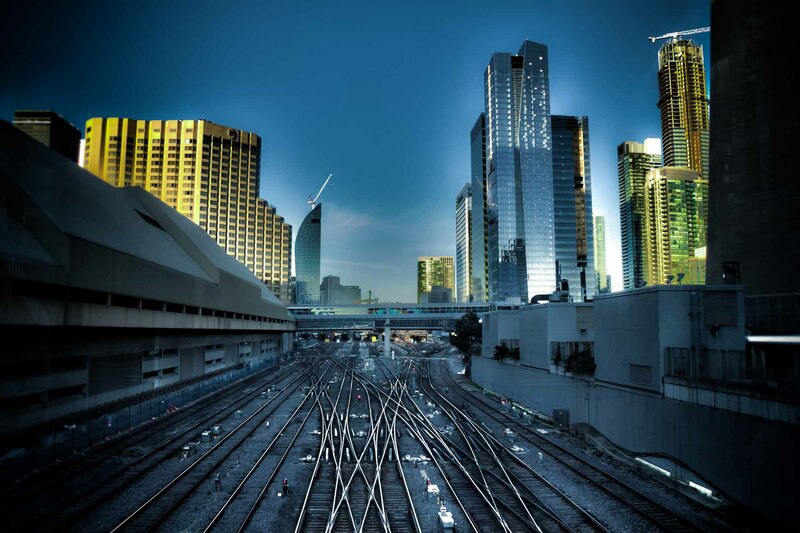 An HDR shot of the tracks at Union Station in downtown Toronto. Union Station, Toronto, was designed by architects Ross and Macdonald, Hugh G. Jones and John M. Lyle for the Grand Trunk Railway of Canada and Canadian Pacific Railway. Design commenced in 1913 and construction began in 1914. The building was substantially finished by 1920, but the actual completion took place in 1927. The design and interior details of the building show the influence of the beaux-arts style, which greatly marked N American public architecture of the early 20th century. The building's long façade is divided into 7 sections, and the central portion is distinguished by a long Doric colonnade framed by 2 small projecting porticos. The façade ends in 2 slightly jutting sections with inset pilasters. 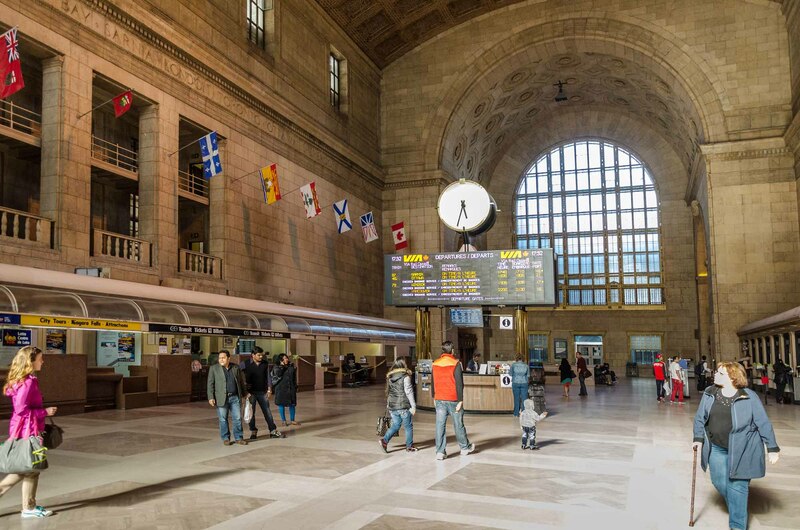 The ground floor, designed by Lyle, includes a vast hall that contains the ticket windows and various services; it is notable for its huge proportions, vaulted ceiling, materials and colours, and the Canadian inspiration of its decoration. Richard Bébout, The Open Gate: Toronto Union Station (1972).